We had asked the participants of the 18th international conference of NELTA – Could you please share with Choutari one thing that you are taking away from the conference into your classroom? I bring the passion of ELT young fellows from this conference to my classroom as they are so curious to learn something and I am fortunate that I have the moment to share my learning. During my stay, I am feeling that NELTA people are so much sensitive about systems and about English teachers but they should collaborate with the new sense of young ELT fellows and go ahead who are far from the valley and struggling with their contexts and contents together. I learnt the ways to tackle with the large class in the plenary hosted by Dr. Richard Smith in the conference. Upon retuning to my school, I am sure I can effectively manage my classroom and make my teaching better than before. I found that ELT [practitioners] sharing latest information is applicable in real classroom. It was great opportunity to know about ELT situation of other countries and share the existing situation of Nepal. The resources shared would be so essential to develop language competency. Besides, I have learnt different ELT methodologies the presenters presented and their application into classroom. I enjoyed the class of Ms. Christine Stone in the 18th International conference of NELTA as I found it so useful especially for teaching primary level students. Despite of her ageing, she was proactive facilitating the session with support of her co-presenters. Her sessions were indeed impressive to me. I liked the way Ms. Kate Miller engaged the participants in interaction in her presentation. She talked about early childhood education. I liked her simplicity dealing with the learners, which I am going to apply with my students and her techniques in the classroom. The session entitled Teaching Writing in Large Classes: Models, Rubrics, and Peer Review facilitated by William Wolf from Bangladesh during the conference upgraded me to teach writing skills in the classroom in a different way. When I entered into the auditorium, I found the executive members and volunteers busy managing the event with their efforts they could. I was totally upset because nobody talked to me but soon my attentions drew to Dr. Richard Smith’s talk during the plenary session. Dr. Smith’s views about controlling the large ELT classroom were no doubt appreciative but I was puzzled whether the techniques he suggested will be applicable in the context of Nepal or if yes, to what extent. I wanted to raise this question but I could not ask. I found a new trend of presentation in Pecha Kucha Fun which had been performed by a team of Students from Kathmandu University led by Associate Prof. Laxman Gnawali. Although it was interesting in the audiences’ views, I could not learn any contents but it was helpful for entertaining the students of ELT with ELT humors. I learnt that several pictures can be used to motivate the learners on the contents. I learnt a good lesson from the special session facilitated by Mr. Fife MacDuff and Mr. Bishwa R. Gautam about applying the techniques and ways for ELT Graduate Studies and Assistantships from American Universities. I am impressed by the lecture given by Mr. Richard Smith, which was about the new trends and the mobilization of ELT in the current global situation. But I was sad because I did not find any advisors who used to be our celebrity and the stars in NELTA. I wished I could attend some presentation focusing on the role of the ICT in the ELT classroom. My wish was fulfilled when I participated the session of Dr. Kalyan from India. He shared with us different ways and ideas how ICT tools can be integrated for effective ELT classroom. I attended the concurrent session of Ms. Monalisa Khan from Bangladesh. 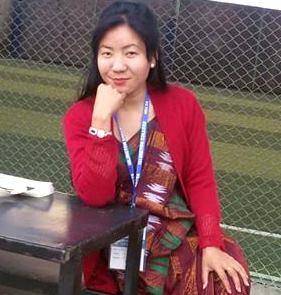 She shared us about the challenges while teaching EFL writing at the tertiary level. The content was interesting to me and more interesting were the ways she presented her paper. I learned some measures that will help me overcome those challenges in my classroom. If you have participated in the conference and you wish to include your views to the list or share your response to the above-mentioned question with the larger ELT community home and abroad, please add your response as a comment.